Drawing, painting, sculpture, ceramics, printmaking, video production, photography, weaving, woodcraft, and metalworking. These activities have brought different elements of OSU together in a community of creativity, collaboration, and craft for 150 years. This exhibit is dedicated to recognizing some of those who have shaped this community through the lens of art and craft in instruction, inspiration, exhibits, and the public landscape. 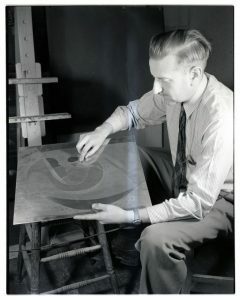 Art instruction in the first four decades of OSU could be summed up in one word: drawing. Coursework in drawing was considered a basic part of the curriculum and offered by a diverse range of departments that included engineering, mathematics, household economy, and modern language. In 1893, the college established a separate department for instruction in drawing and shortly thereafter required all incoming freshmen to take 3 terms of freehand drawing. By 1908, the scope of instruction expanded to encompass courses in color harmony and freehand lettering, followed by the introduction of classes in art appreciation and art history a few years later. Offerings in sculpture, photography, ceramics, graphic design, printmaking, exhibit design, and digital imaging would eventually be added to fill out the art curriculum. Instructor of printmaking Gordon Gilkey played many influential roles in the OSU and Oregon art community. 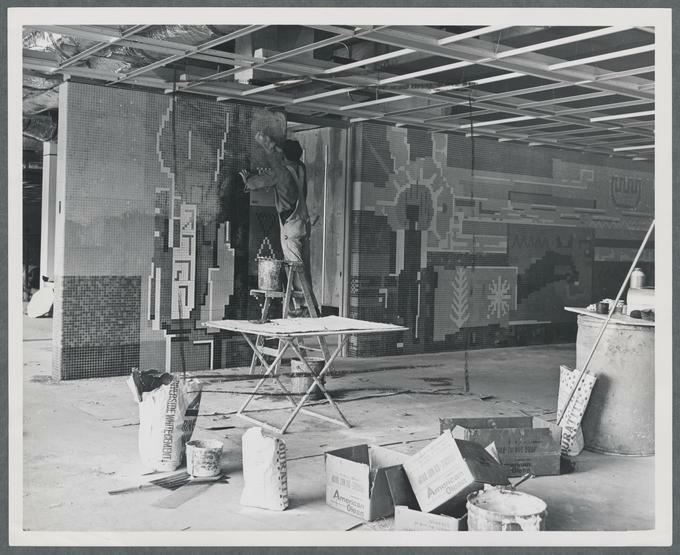 He served as a longtime professor (1947-1976), a renown print maker, Art Department Chair, first Dean of the School of Social Sciences and Humanities, one of the “monuments men” in the recovery of art stolen by the Nazis during WWII, and a major patron of the Portland Art Museum. Notable Art Department faculty have included: Leo Fairbanks (painting), Gordon Gilkey (printmaking), Wayne Taysom (sculpture), Harrison Branch (photography), Nelson Sandgren (painting), Marian Bowman (ceramics), Yuji Hiratsuka (printmaking), John Maul (sculpture), and Julie Green (painting). 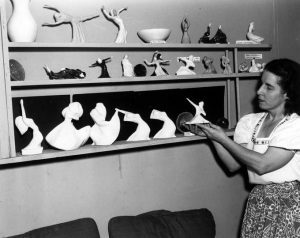 A number of instructors outside the Art Department have been notable for incorporating art and craft in their teaching, research, and recognition of student achievement. Among them include Botany Professor Helen M. Gilkey (botanical drawings), Dance Professor Betty Lynd Thompson (ceramics), Manufacturing Engineering Professor Robert Claude Wilson (wood marquetry), and Entomology Professor Bonnie Hall (scientific illustration). The plethora of sculptures, murals, statues, paintings, carvings, and unique installations throughout campus is a testament to a long tradition of public art at OSU. These contributions to OSU’s visual landscape have had many different sources: class gifts to the university, federal government programs, donations by faculty, and Oregon legislation. There are many venues on campus designed to share the visual arts. These places celebrate creativity in both temporary exhibits and permanent installations. For the showcase of student and Art faculty works, Fairbanks Hall has served as the focal point of campus exhibit space for 80 years. The gallery has also hosted shows featuring works by noted artistic luminaries such as Sue Coe, Bill Viola, Robert Motherwell, and Edward Weston. Other campus galleries featuring space for changing exhibits are in the Memorial Union, Kidder Hall, and Strand Hall. With the Percent for Art program ensuring that new campus construction and remodel projects incorporate artistic visual elements into the finished structures, the “artscape” at OSU has been, and continues, to grow. 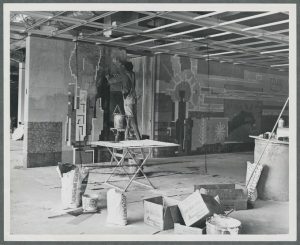 This has inspired the integration of art into the architecture of many new OSU buildings, such as Austin Hall, with its two-story ceramic tile mural installation “Currency of Insight.” In other buildings, such as the Valley Library, individual art pieces were purchased to form permanent collections for exhibit. Most of the 120+plus sculptures, paintings, and photographs that make up the Library’s Northwest Art Collection has been on display since 1998. This entry was posted in Main Page on January 17, 2018 by dvoraka.